Here are two cards I made with the Beautiful Spellbinders 5 x 7 Holly Frame from the Holiday Collection. For this first one I cut the frame die from my folded card base, after adding some colour with distress inks while the card was still in the die, I then stuck it back in with some double sided tape to which I added some very fine glitter. I also used the beautiful Memory Box Glowing Candles and Cheery Lynn's Happy Birthday. 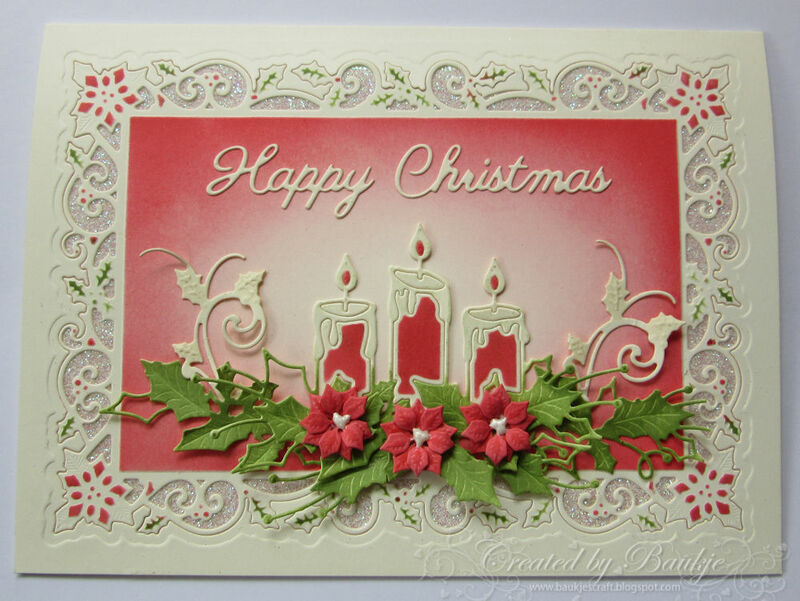 The little poinsettias and holly swirls are also part of the Holly Frame Die set. For my second card my folded card base is the size of the center of this beautiful die cut, which I adhered it onto. The bird die is the Ultimate Crafts Pine Bough which I have coloured with copics. 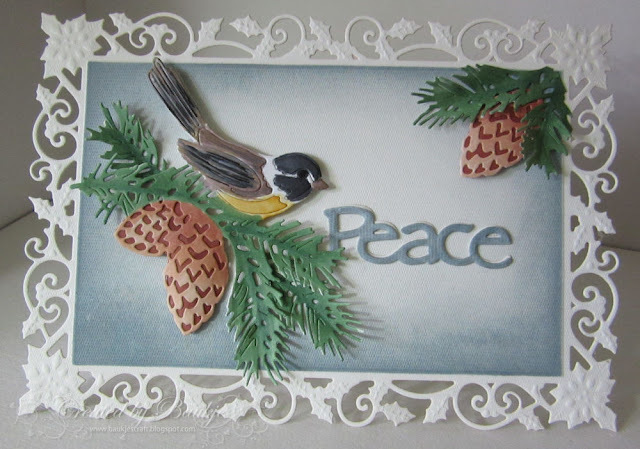 Peace is from the Sue Wilson Dove of Peace die set.